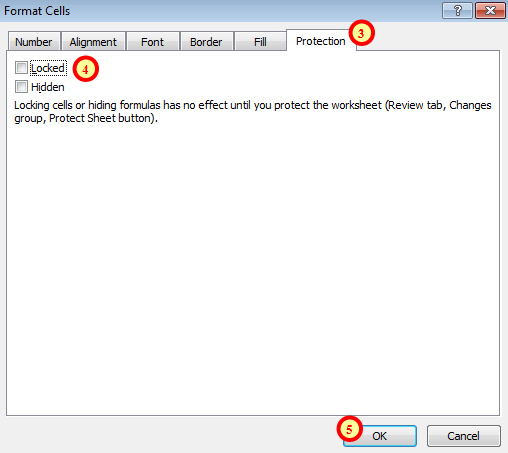 If you want to allow people to modify some cells on a worksheet you'll need to unlock those cells before you protect the sheet. Believe it or not, every cell on a worksheet is locked by default! 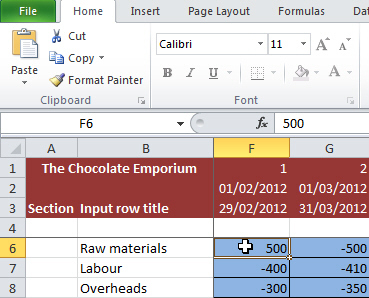 The reason you can enter values into cells when you first create a workbook is that the locked setting of a cell only has an effect when the worksheet is protected. Select the cells you want people to be allowed to change. On the Inputs sheet we want all of the blue input cells to be unlocked. Use this dialog box to unlock cells. 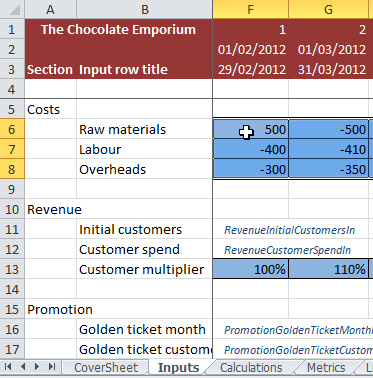 The final step is to protect the worksheet as described in the previous part of this blog series. When you try to edit an unlocked cell you'll find that you can change its value normally. You can change the value of an unlocked cell, but you can't do anything else to it unless you checked the relevant box when you protected the sheet. Unlocking a range of cells works much better when you're using styles in a workbook. You can unlock all of the cells that use a particular style at the same time without having to select the cells first! The final part of this blog series shows you how to protect the structure of a workbook to prevent people from deleting, copying, moving and renaming worksheets.